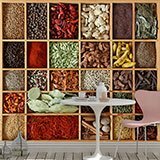 Wall mural Collage Spice Collection. 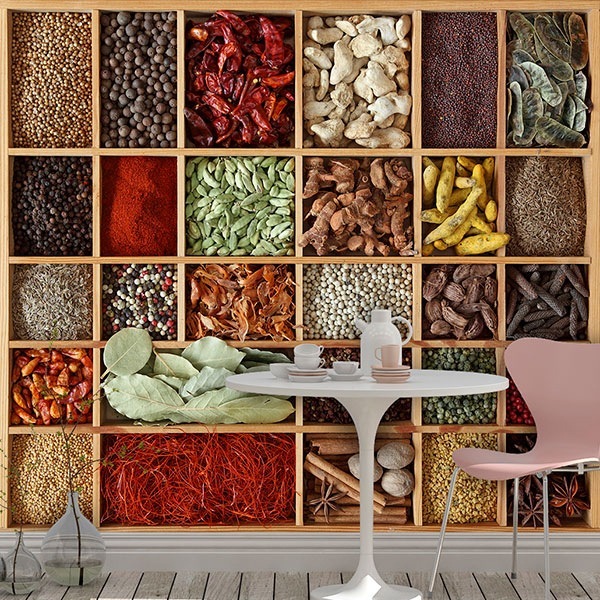 Fantastic collection of spices of all shapes, types and colours in a wooden separator. 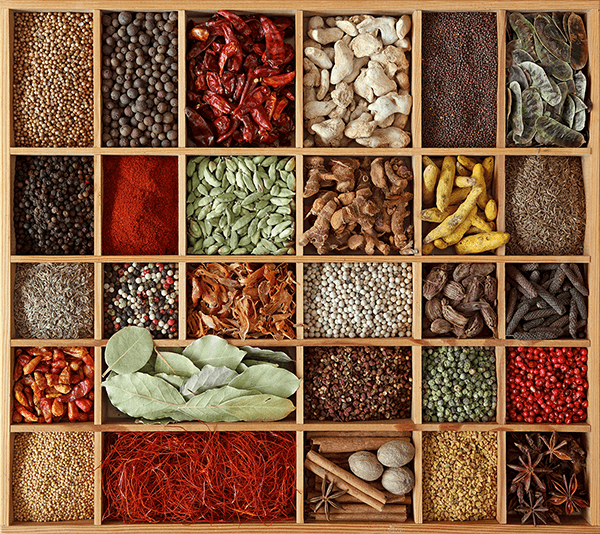 Complete assortment of spices with black pepper, aniseed, paprika, cayenne, fennel, saffron, curry, cumin, thyme or parsley. 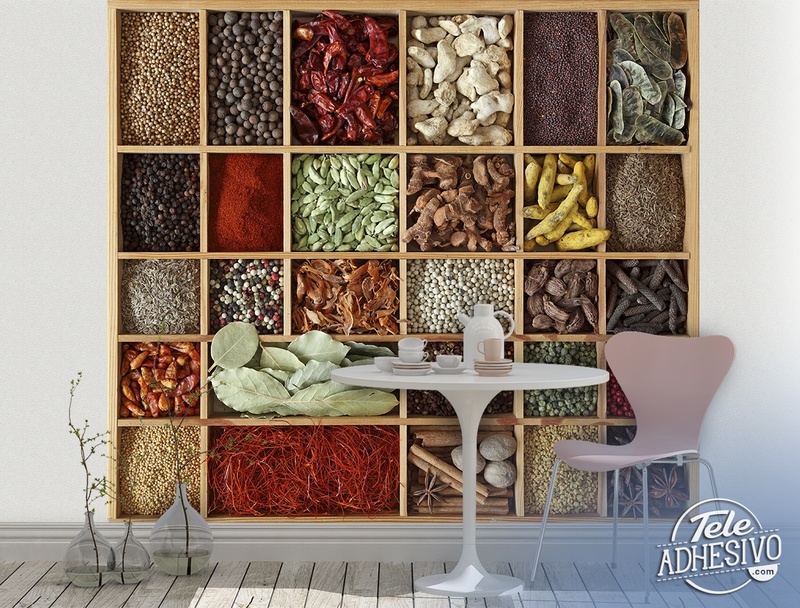 Ideal for decorating a business.